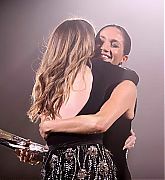 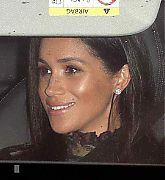 Meghan Markle was at the British Fashion Awards in London on Monday night to present Givenchy’s Clare Waight Keller—the designer of her wedding gown— with the British Designer Womenswear Award. 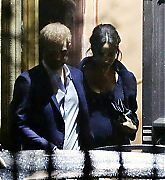 Meghan also had no choice but to make headlines with her belly at this stage in her pregnancy, and she stood in a way that showcased it in her formfitting, one-shouldered Givenchy gown. 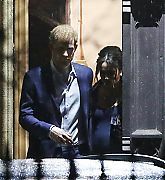 Since she and Prince Harry announced the news of their new arrival in mid-October, Meghan has been seen out on many public outings, including their trip to Australia, New Zealand, Fiji, and Tonga. 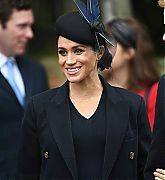 But at several engagements, including a recent visit to the Hubb Community Kitchen, Meghan has dressed in a way that deliberately de-emphasized her stomach. 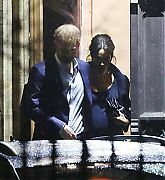 Tonight’s Givenchy gown marks a change in strategy—or perhaps, at what’s reportedly the six-month mark of her pregnancy, a recognition that it will be impossible to hide from here on out. 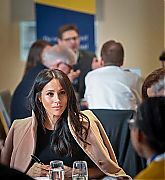 The Duchess of Sussex has held private talks with Michelle Obama after watching her speak on female empowerment, royal protocol and the challenges facing black women in the public eye. 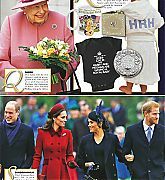 Mrs Obama spoke on topics from the Queen’s alleged dismissal of royal protocol as “rubbish” to her disdain for fashion designers who “treat their staff badly”. 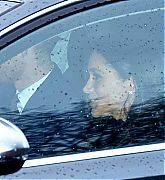 A look at Meghan Markle’s life as she has been adjusting to her new role and new family. 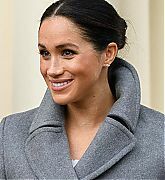 Meghan Markle stepped into the spotlight as Prince Harry’s beautiful bride, and since their royal nuptials, the Duchess of Sussex has quickly adjusted into her new life, new role and new royal family. 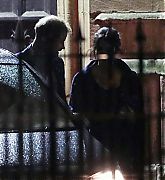 ABC News takes an up-close look at Meghan Markle’s royal beginnings as the Duchess of Sussex in a prime-time special “Meghan’s New Life: The Real Princess Diaries,”, which airs Thursday, Nov. 22 9:00 p.m. EST on ABC Television Network. 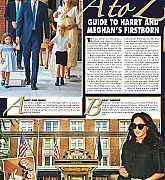 In the first six months of her marriage, Markle has become a formidable force. 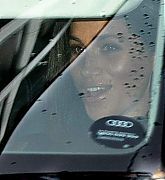 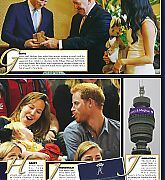 ABC royal contributor Imogen Lloyd Webber said that Queen Elizabeth II already sees Markle as a catalyst for the future. 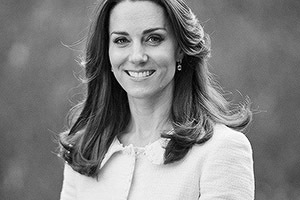 “The Queen is incredibly smart. 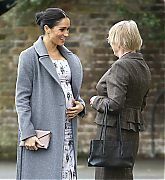 The Queen sees Meghan as a very, I want to say, [a] useful tool in securing and symbolizing the future of the monarchy for decades to come,” she said. 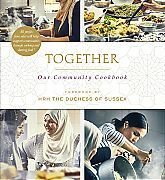 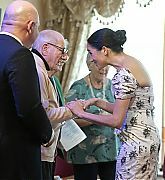 In her short time as part of the royal family, the Duchess of Sussex has already proved to be a natural at getting involved with the British people.